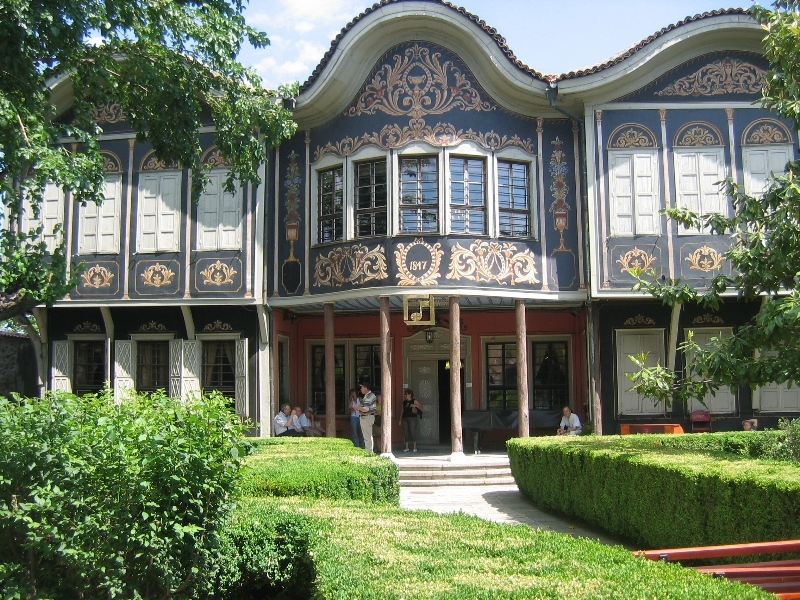 This is a full day trip from Sofia to Plovdiv and Backovo monastery. 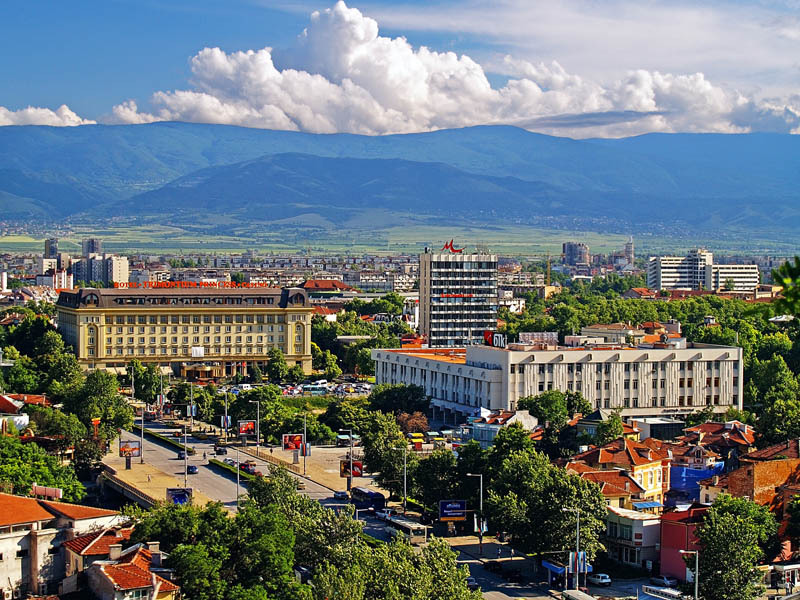 The distance from Sofia to Plovdiv is 150 km and takes about 2 hours drive. 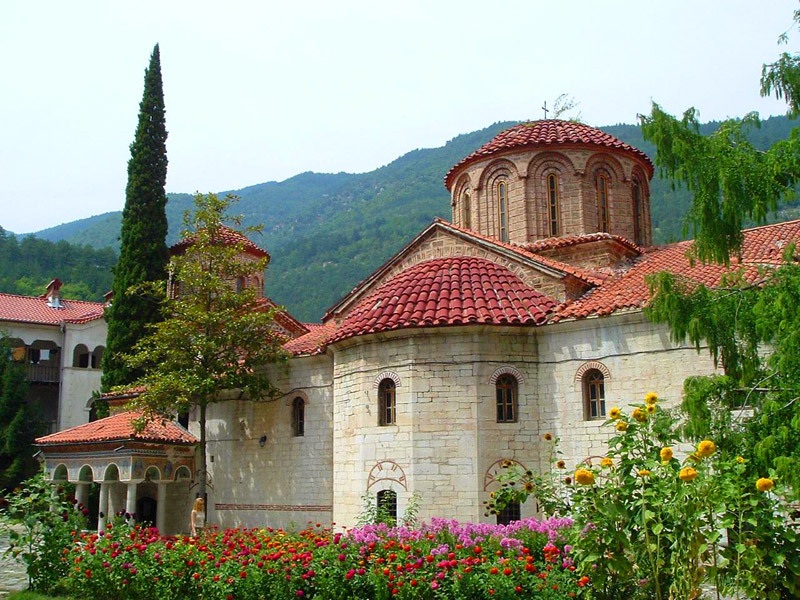 Bachkovo Monastery is located 30 km south of Plovdiv, in the Rhodope Mountains, around 30-40 minutes drive from Plovdiv. Take a short trip to discover Plovdiv, which is situated on six hills rising in the Thracian plain and washed by the quietly flowing waters of the Maritza River. 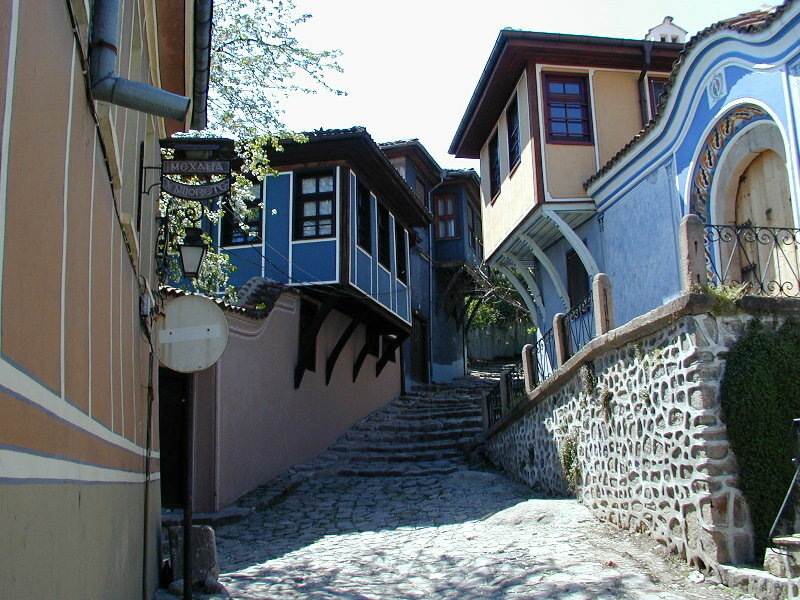 An ancient crossroad between East and West, Plovdiv has preserved unique treasures from its 24 centuries long history. Brilliant examples of the Bulgarian National Revival Period are preserved here. The Ethnographic Museum, Churches and the street of folk arts and crafts are major landmarks of the Old Town followed by lunch and a trip to Bachkovo Monastery. It was mostly destroyed by the Turks in the 14th century and rebuilt a century later. The main treasure of the monastery is a miracle working icon (Sveta Bogorodica) which is said to heal the sick. * Tours are offered in English, German, Spanish, French, Italian and can be joined from any hotel in Sofia at no charge. 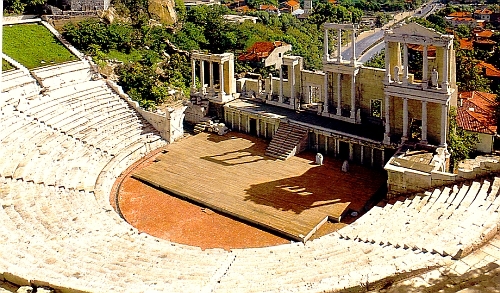 Highlights: Plovdiv is Bulgaria's second biggest city, which treasures a history that goes back thousands of years, traces of which have survived to the present day. 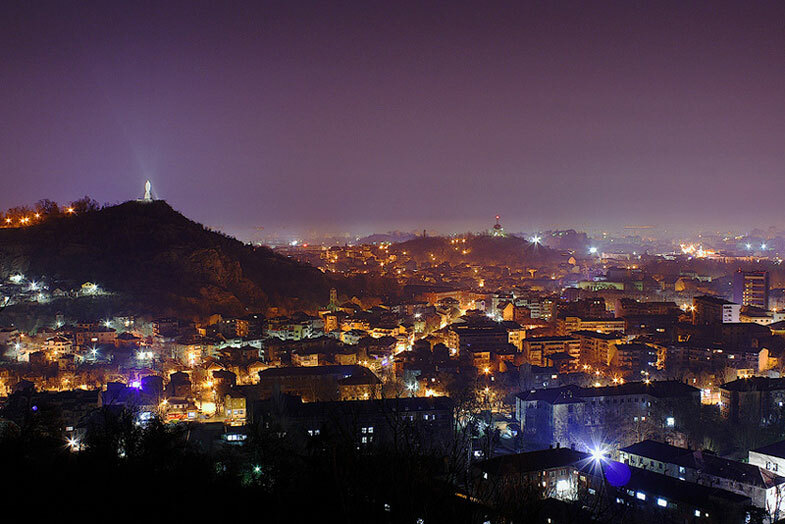 The Thracians founded Plovdiv during the Neolithic period in the 2nd millennium BC. Later, during the period of the Roman Empire, it was a major centre of the province of Thrace; many archaeological finds dating from the 2nd - 3rd century, testify for those glorious times. The Old Quarter was built in the 18th-19th centuries as the centre of the Bulgarian National Revival architecture. Along steep cobblestone lanes, behind stone walls and iron-studded heavy oak gates, one could glimpse at verdure and flowers, surrounding the typical Plovdiv symmetrical houses with their painted facades, oriels and jetties and grid windows. The St. Constantine and St. Helena Church completed in 1832, contains murals painted in 1836 by Zachary Zograph, the best known Bulgarian National Revival painter. Bachkovo Monastery is the second most important after the Rila Monastery, with frescoes and murals from the 17th century, considered masterpieces of European Renaissance Art. The Bachkovo Monastery was founded in 1083 by the Byzantine millitary commander, Georgian by origin, Grigorij Bakuriani and his brother Abbasij. Grijorij builds up the monastery in his own feudal lands, and according to the Georgian tradition he dedicates it to the woman-mother, thus naming it The Petrichki Monastery (after the name of the nearby fortress). In 1206 Tsar Kaloyan conquerred the Rhodope Mountains and the Bachkovo Monastery occured to be within the boundaries of the Bulgarian State. After 1344, Tsar Ivan Alexander consolidated the Bulgarian rule over the Rhodopes, and the monastery became an important medieval centre of religion and learning. After the Ottomans invading Bulgaria with fire and sword, the Bulgarian Patriarch Evtimij of Turnovo was exiled to that monastery and created the Bachkovo School of Education there. The monastery library has preserved many valuable incunabula and old manuscripts. Its most remarkable feature, however, is the unique paintings to be seen everywhere in the churches and the Ossuary - the figure of the Bulgarian Tsar Ivan Alexander is discernible on the 11th and 14th century murals, in the Refectory (1601), in the Assumption of the Holy Virgin main church (1604), and in The Holy Trinity and St. Nicholas church (1840), which contains some of the first murals painted by the eminent National Revival artist Zachary Zograph.